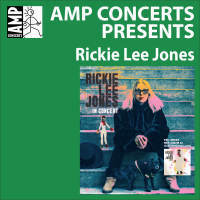 Two-time Grammy winner Rickie Lee Jones exploded onto the pop scene in 1978 and has made a career of fearlessly experimenting with her sound and persona over 15 critically acclaimed albums. Rolling Stonemagazine put her on its cover twice in two years, and "Saturday Night Live" gave her an unprecedented three songs for her second appearance. 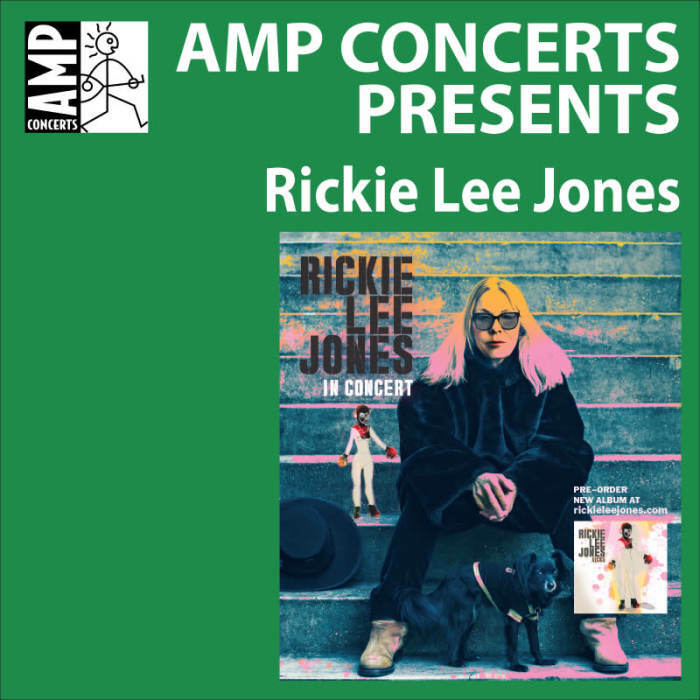 Rickie is both a character in the songs and the songwriter singing, defying convention with her sometimes brazen sexuality and the mixed bag of jazz, rock and what has come to be known as "confessional" songwriter performances. Rickie Lee Jones is that rare musician who has transcended the singer-songwriter mantle by incorporating different radio genres from the get-go and she continues that tradition on the forthcoming album Kicks, her newest collection of songs from the great American songbook. 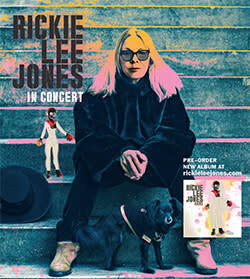 Due out June 7, the album spans two decades (50s-70s) of pop, rock and jazz, presenting her unique and sophisticated interpretations of these songs. It is fitting that one of the American treasures of songwriters should be comfortable with this diverse collection of the great songwriters of the 20th century–she is one of them. On Kicks, she brings emotion to sleeper album tracks like "My Father's Gun" (Elton John, 1970) and her tongue-in-cheek humor to songs like "Houston" (Sanford Clark, 1964; made famous by Dean Martin, 1965).